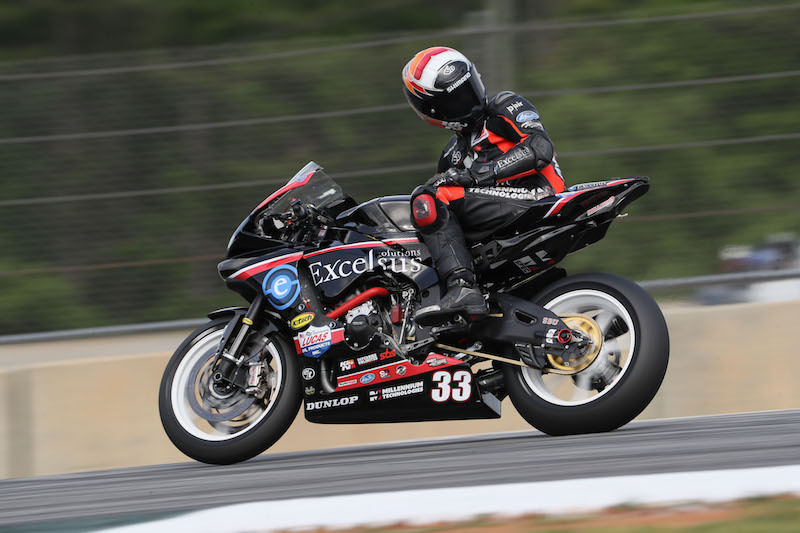 BRASELTON, Ga. (May 1) — Kyle Wyman rode his Excelsus Solutions/KWR sponsored superbike to a top-5 finish Sunday at Road Atlanta for the second round of the MotoAmerica Superbike series. Wyman bounced back from a 9th place result on Saturday to put in a career ride in Georgia. Wyman started the Atlanta weekend on a high by finishing the day 5th fastest time overall in the qualifying practice sessions, less than a tenth off of the factory teams – a testament to the one-lap speed of the Yamaha rider. While the top non-factory spot was secured, Wyman had only a 30-minute session Saturday morning before Superpole to dial in a race-setup for the bike, crucial for the 21-lap races scheduled for Saturday and Sunday. 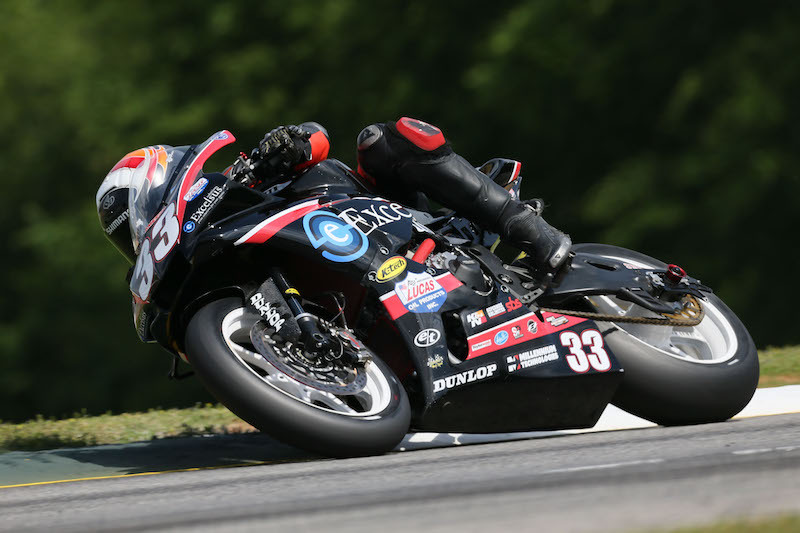 Wyman was able to qualify in 8th position in Superpole after a one-lap attempt on the Dunlop “Q” tire. 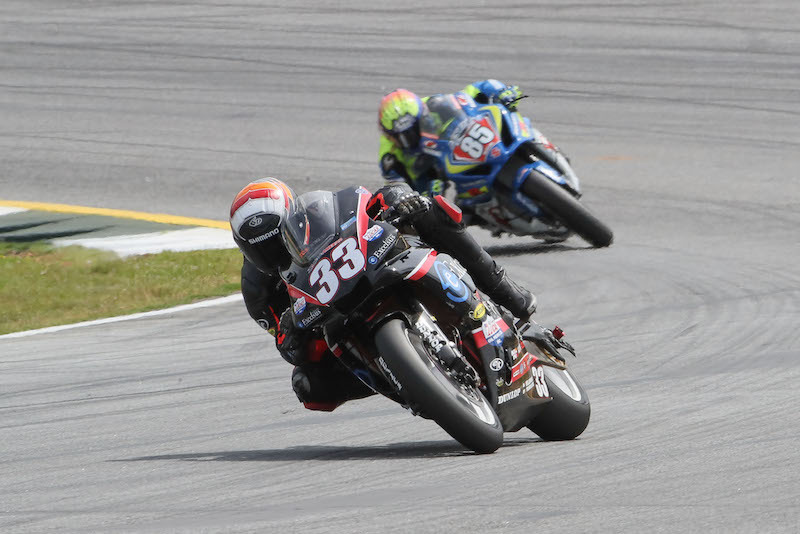 Race one saw Wyman get a good start, but an early battle caused him to lose ground and fight an even different battle – with grip in the rear tire. Wyman ended race one in 9th overall, 6th in the Superbike class, 25.489 seconds off of the race winner. The KWR team went back to the drawing board to come up with setup changes for race two. A change in setting on the Evol Technology triple clamps and K-Tech suspension proved to be magic in race two, where Wyman escaped the Superstock battle and eventually finished 5th overall (and in class), only 11.081 seconds off of the race winner. 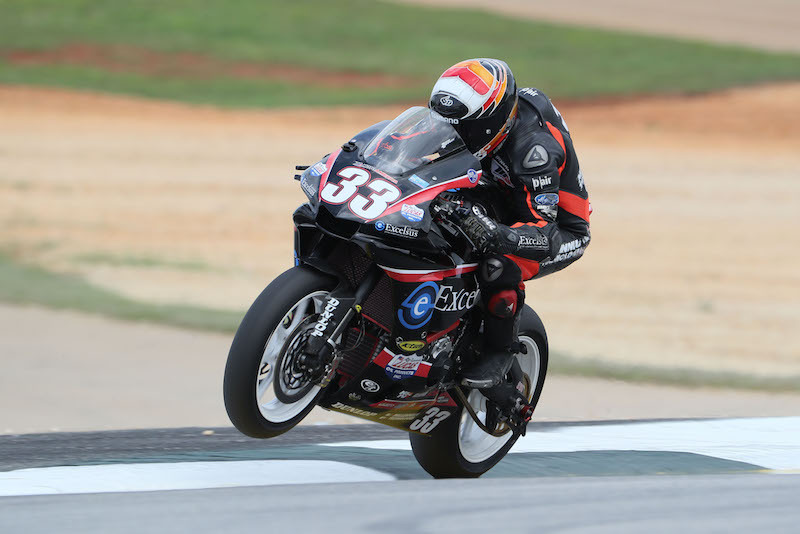 Wyman built up a 17-second gap over the 6th place rider by the finish, and chalked up his best ride of 2017 on the Excelsus Solutions/Lucas Oil/KWR Superbike. The next race takes place May 12-14, 2017 at Virginia International Raceway in Alton, Va.